Any competent handyman or do-it-yourselfer should be able to build a basic wood deck with railings, Figure 1. 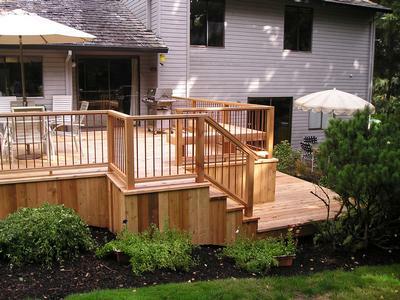 Decks are a perfect home improvement project. Although simple, with the installation of proper footings and creating a level surface can require some skill and thought, not to mention patience. A deck can become complex, if there are multiple levels and/or if access to the deck requires a new door installation to the home. Prior to making a sketch of the deck, which you will need in order to calculate how much material you will need, it is important to think out all of the aspects. 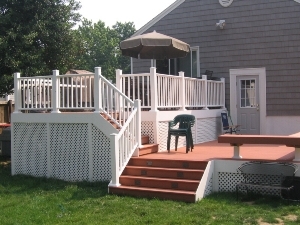 Items which are desired but not included in the initial planning can be very expensive and time consuming to install after the deck is constructed. Inexpensive deck design software is now available that will allow you to layout your deck and see exactly what it will look like before you drive in the first nail, as shown in Figure 2a, 2b and 2c. 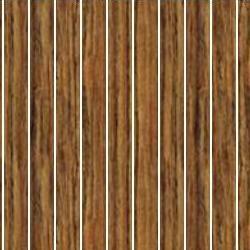 electrical requirements - do you want lighting on the deck, how will it be mounted and where will it be switched from? Do you want electrical outlets on the inside of the deck for powering barbeque spits, televisions, radios, etc. and/or on the outside of the deck for hedge trimmers, electric lawn mowers, etc. If the answer is yes, it is important to determine where the electrical power will come from and how it will run. All electrical services should be run in conduit. telephone & television - do you want telephone and/or television jacks on the deck? Where will the services come from, how will the wiring be run to the position on the deck. gas service - do you want to provide gas to a barbeque or lanterns. If so, where will you connect to and how will the piping run. water service - are you going to end up with your outside water tap buried underneath the deck? benches and planters - do you want the deck to include benches and planters? Although these can be added later, the overall structural design looks better if the benches and planters are pre-planned rather than an after thought. outdoor kitchen - the latest in outdoor home improvements is the addition of an outdoor kitchen which generally includes sink and hot and cold running water (this means the installation of hot and cold water lines and drain lines. 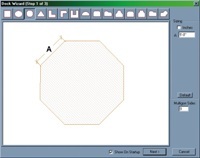 Once you have produced your hand-drawn sketch, many lumber suppliers and home improvement centers will computerize it and produce a list of lumber needed. It is not necessary to have an architect or engineer produce the final plan as most municipalities will accept a sketch in order to issue a building permit. However, if you would like to create a professional deck design, you can now design your deck in 3D either with your own software or online. This allows you to play with design variations and actually see the finished deck in three dimensions. It will also allow you to place the house, trees and any other structures into the plan and see how the deck fits in. Figure 3 - Wood deck attached to home and over 30" above the ground will generally require a building permit. If your deck is going to attach to your home and/or be more than 30 inches above the ground, as shown in Figure 3, most municipalities will require that you submit your sketch and obtain a building permit for the construction. The building permit is a valuable and worthwhile exercise. Your sketch or drawing will be reviewed and potential problems will be identified, especially for issues involving health and safety. It should be noted that many home insurance policies do not cover construction, or accidents from construction if a building permit was not obtained. It is also important to remember that if you do not obtain a building permit and were required to do so, you can be fined a lot more than the permit would have cost and be required to correct any deficiencies in the structure or worse yet remove the structure completely. Another consideration is your lot line. If you are building a deck that extends to the side of your home ensure that you know where your lot ends and how close you are allowed to build to it.